Oxfam America is known worldwide to “create lasting solutions to poverty, hunger, and social justice.” The non-profit is not only leading the efforts to find new ways to fight hunger, but also re-defines internal organizational structures. 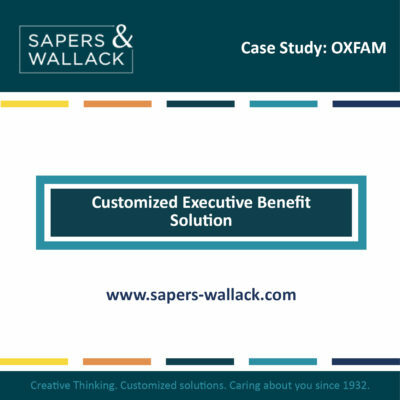 To attract and retain its highly skilled leadership, Oxfam America started a customized executive benefit restoration initiative and chose Sapers & Wallack as partner for the implementation. Read our newest case study to learn about our customized approach to provide the choices executives needed in different stages of their careers combined with continuous education to make the program successful.